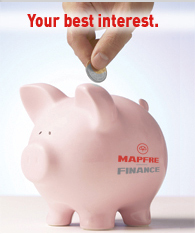 MAPFRE FINANCE OF PUERTO RICO CORP. was created to provide convenient financing options to Puerto Rico consumers. Our desire is to simplify the insurance process and provide our clients with a superior experience. In the past, this concept has created long lasting relationships within our local communities. Thank you for stopping by and we look forward to doing business with you.